On Wednesday night, a choir of children from 3rd-6th class are taking part in the Cór Geal Winter Carol Concert in St. Joseph’s Church, Springhill, Glanmire. They will be conducted by Betty Fitzgerald, who teaches recorder to the children in school. 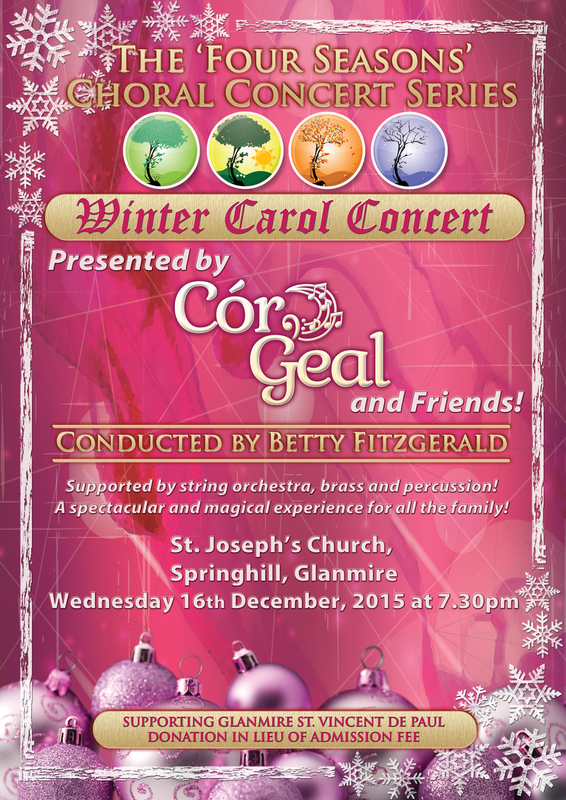 The concert is in aid of Glanmire St. Vincent de Paul and a great evening is assured!